ODOFREE Floor Finish remover has been fomulated to have little to no odor when applied, making it a perfect substitute for harsher floor strippers that create intense odors. ODOFREE Floor Finish remover is the best option when stripping floor finish in hospitals, clincs, nursing homes, offices, and other areas where stripper smell can be of concern. ODOFREE Floor Finsih remover is free of any ammonia or butyl. ODOFREE Floor Finish remover is Eco-Friendly. 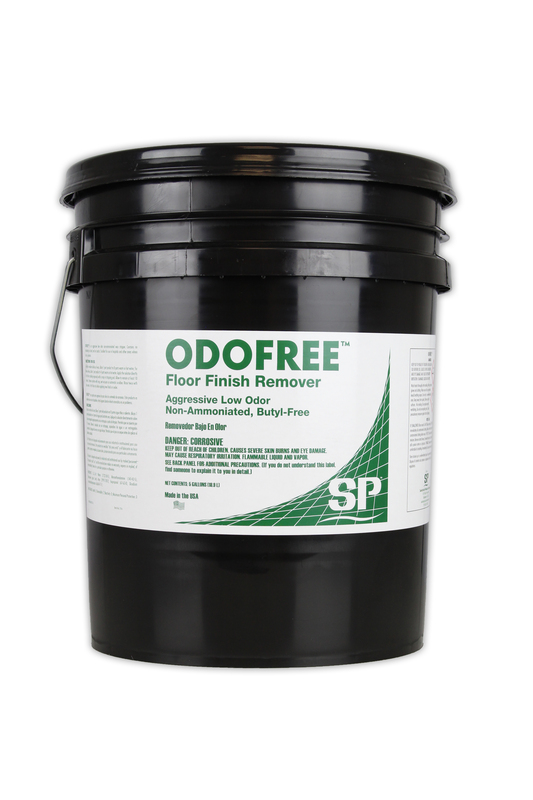 ODOFREE Floor Finish remover is a great floor stripper to remove light and heavy build-up of floor finishes. By simply changing the dilution of ODOFREE Floor Finish remover with water you can strip floor finishes of any kind.